Professor Valery Feigin is the director of AUT’s National Institute for Stroke and Applied Neuroscience (NISAN). It is the only national research institute solely dedicated to studying the epidemiology and prevention of neurological disorders in New Zealand. These disorders affect one in five New Zealanders. He is also associate director of the Centre for Neurocomputation and Brain Study at KEDRI at AUT; affiliate professor of the Department of Global Health at the Institute for Health Metrics and Evaluation at the University of Washington; president of the International Association on Neurology and Epidemiology; and honorary professor of the Novosibirsk State Medical University, Russia. He is also a member of the Advisory Working Group on Stroke for the WHO ICD-11 version. 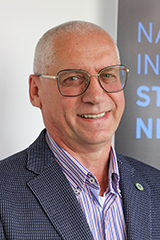 He is currently on the World Stroke Organization Board of Directors, a member of the Science Leadership Team of the NSC Ageing Well Programme, and principal investigator and member of the management team of Brain Research NZ CoRE. After graduating in medicine from the State Medical School of Novosibirsk, Russia, Professor Feigin undertook advanced training in neurology and clinical epidemiology research that has taken him from Moscow to the Mayo Clinic in America and Erasmus University in the Netherlands. Professor Feigin has been at AUT since 2008. His area of research expertise includes stroke, traumatic brain injury prevention, epidemiology and treatment/rehabilitation and his goal is to reduce the global burden of neurological disorders by reducing the number of people affected by these disorders. In the past, neurological disorders were not a major health issue, but now it is recognised as the third major health issue worldwide. 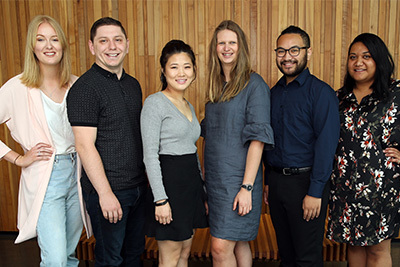 As a named investigator, Professor Feigin has helped to secure more than $100 million of external funding and has attracted several significant HRC and NSC Ageing Well grants. During his career, Professor Feigin has authored or co-authored over 600 academic publications (including more than 300 journal articles, including 46 in The Lancet), 12 handbooks, 26 books and chapters, and 4 patents). As of April 2018, Valery’s research work has been cited over 31,795 times and his Scopus h-index is 56. Professor Feigin is the Editor-in-Chief of the international journal Neuroepidemiology and an Editorial Board member of 15 other international medical journals. Since 2009 he has been a member of the Global Burden of Disease (GBD) study, as the Chairman of the Stroke, TBI Experts Panel and the whole Neurology Section (also includes Dementia, Parkinson's Disease, Multiple Sclerosis, Epilepsy, Headache, Amyotrophic Lateral Sclerosis Experts Panels), co-ordinating work of over 400 experts (members of the expert panels) across the globe. The study is the largest and most comprehensive effort to date to measure epidemiological levels and trends of neurological disease burden worldwide. Professor Feigin is the recipient of a number of prestigious national and international awards and distinctions, including the Fogarty International Centre Research Grant Award (National Institute of Neurological Disorders & Stroke of the USA, Mayo Clinic), Bruce Shoenburg International Award and Lecture in Neuroepidemiology (American Academy of Neurology), Gedeon Richter Award for Studies on Cavinton in Acute Stroke, and the World Stroke Organization President’s Award for his outstanding contribution to clinical stroke research. In 2015, Valery was awarded the Royal Society of New Zealand’s MacDiarmid Medal, for outstanding research in stroke epidemiology and prevention worldwide, and the development of ground-breaking technology in primary stroke prevention using the unique Stroke Riskometer™ App. This app is endorsed by the World Stroke Organization, World Federation of Neurology, World Heart Federation, and International Association of Neurology and Epidemiology to help to reduce the burden of stroke and other non-communicable disorders (NCD) worldwide. In 2015, the Stroke Riskometer™ app was voted the top app among all 100,000+ health-related apps worldwide. The international collaborative epidemiological study of stroke and other major NCD based on this app is already one of the largest in the world (over 300 experts representing 102 countries) and it is likely to significantly improve our knowledge on the prevalence and determinants of NCD across the world. Valery’s expertise in the field of epidemiology and neurology has been recognised around the world. His papers have been downloaded over 910,000 times (according to ScienceDirect) and cited over 69,600 times (according to Google Scholar), putting Valery in the top 1% by citations as ranked by ScienceDirect.